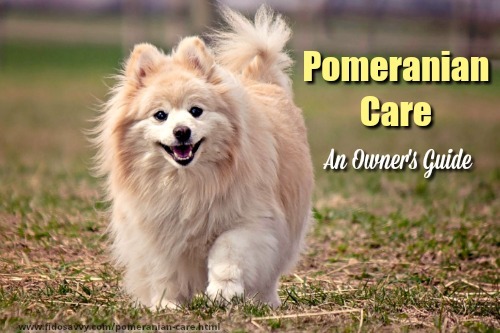 A straightforward guide to Pomeranian care that will help you keep your Pom happy and healthy! Pomeranians (often called 'Poms') might look like adorable powder puffs, but they're spunky little dogs who have a whole lot of personality crammed into those cute little bodies! They're highly intelligent, confident, lively and definitely extroverts, but can be suspicious of strange dogs and people, and think they are 'guard dog' material. Generally pretty health and robust little dogs, Pomeranians can make great family pets - but as with many tiny breeds, if you have young children you will need to be very vigilant in order to keep the pup from being hurt by accident. The original ancestors of these charismatic little dogs were considerably larger than today's Poms. Originally used as sheep herders and sled dogs in areas of what is now Germany, they once routinely weighed around 30 lbs or more. Recognized by the AKC in 1888, today the Pomeranian is included in their' 'Toy Group', and the breed standard puts the average weight of a Pom today at between 3 and 7lbs. Although today's tiny Poms aren't physically big enough to herd sheep or pull sleds, their personalities are still huge! 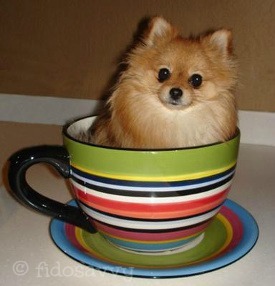 As with several other Toy breeds, some breeders have attempted to produce smaller and smaller dogs, and you may see Pomeranian puppies advertised as 'miniature, toy or teacup' in size. BUT, there are no such recognized classifications, and breeding for extra-small size isn't recommended! It can cause an increase in health problems, and puts the pup at greater risk of injury. When choosing a puppy, always buy from a reputable breeder, as it will give you a much better chance of getting a happy, healthy companion. You may also want to consider rescue or adoption, rather than buying a puppy. ...... and of course, there's always the national organization, Petfinder.com. 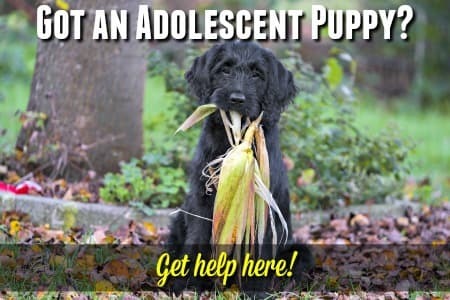 If you're thinking about puppy adoption but you want to find out more about how it works, what to look for and what pitfalls to avoid, check out my Puppy Adoption Guide for all the info. you need. 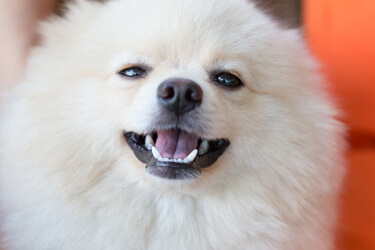 An important part of pomeranian care is keeping your pup/dog healthy. Hypoglycemia is not uncommon, even in puppies, and can cause weakness, disorientation, lethargy or even loss of consciousness or seizures. Keeping some Karo syrup, or a tube of Nutri Cal close to hand is critical, and it could possibly save your puppys' life. One of the risks with small breed pups such as Pomeranians, Chihuahuas, Yorkies etc., is that they can so easily be accidentally hurt or injured. Being dropped, even from relatively low heights, rough handling, being played with too roughly by a larger dog, being stepped on.... all of these can end in trouble. This is one of the reasons that tiny dogs aren't usually recommended as ideal pets for a home with young children. Your little ones could quite easily hurt their new four-legged friend when playing, holding or rough-housing, and even if they're super-gentle, their high voices and quick movements can overwhelm a teeny pup. 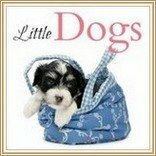 For help choosing the best breed for a young family, visit my Best Dog Breeds for Children page. It's a good idea to get your small dog covered by Pet Health Insurance, so that any accidents, injuries or serious illnesses won't have you emptying your savings account! In many ways, taking care of a puppy is the same, whether it's a Pomeranian, or a Mastiff, however there are also some important differences. Owners need to know that 'toy' and very small breed puppies can be slow to grow and develop to begin with, but they reach adulthood faster than the large or giant breeds. It's usually recommended that a puppy stay with its' canine family for at least 8 weeks, but with these tiny breeds it's better to wait until they are 10 - 12 weeks old. A hugely important part of puppy care is house-training (or potty training). A pup who doesn't learn to eliminate appropriately, grows up into a dog who is difficult to live with. Small and tiny breeds are notoriously difficult to house train, because they have tiny bladders and control over their elimination habits is slow to mature. The 'plus' side of them being so small is that any 'accidents' that they do have are easy to clean up quickly. It's very important though to keep a close eye on your pomeranian puppy when he/she isn't crated or confined. It's quite simple for a tiny pup to squat and pee in the blink of an eye, and if you're not supervising closely enough you just might miss it! Patience and consistency are the keys to successful housebreaking. Set up your routine, use a crate consistently, and be loving but firm in following the procedure daily. Puppies learn through repetition and association, and need you to show them, clearly ,what is expected of them. metabolisms (this means that their bodies use up their food very quickly), and it's important to feed them 'little and often'. 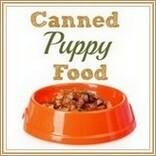 Feed your new pup at least 3 times a day, maybe even 4 times if that fits with your schedule. Without frequent feedings, your little pup could suffer from hypoglycemia (low blood sugar) and become quite ill.
Because your Pom puppy is so small, it's vitally important that the food she eats is of the highest quality, and provides all the nutrients her growing body needs. Choose a premium puppy food that is specifically formulated for small breeds. That way you know that each small meal contains the nutrition that she needs to grow up healthy and strong. Make sure that your pup has easy access to fresh water, in a shallow, tip-proof bowl, at all times. 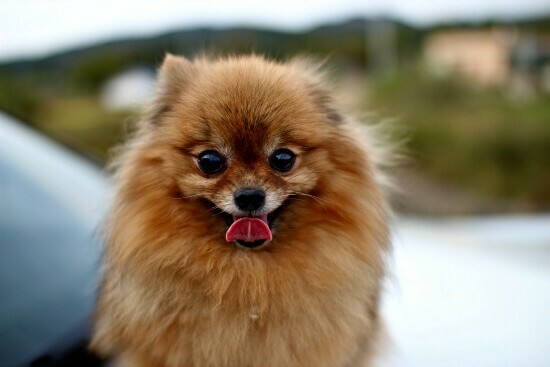 'Pom' puppies are adorable, fluffy little bundles, but don't be misled by their looks. They are NOT docile little stuffed toys, who will sit quietly on your lap (not for too long anyway). Pomeranians are active, intelligent and can be stubborn and independent. You'll need to build daily exercise and regular training and socialization into your daily routine if you want your precious puppy to reach his full potential. 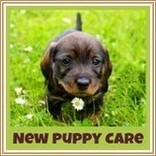 Although they look so cute that it's hard not to 'ooooh and aahhhh' over them, don't be tempted to spoil your new puppy. A Pom is intelligent enough to manipulate you if he gets the chance, so make sure that you set appropriate limits and correct lovingly but firmly, if he misbehaves. This breed tends to bark a lot, and this is something you need to control early on. You'll find tips and advice about this on my Puppy Barking page. Due to their thick, dense coats, Pomeranian care includes quite a bit of grooming. 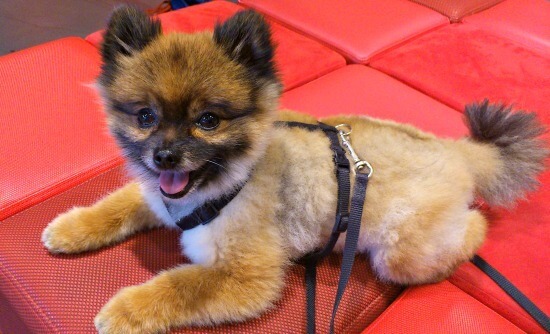 You'll need to be prepared to brush your Pomeranian puppy at least 3 or 4 times a week to prevent tangles and matts. Occasional trimming will help to keep him looking neat and tidy too. These little dogs are pretty heavy 'shedders', and if you don't want dog hair on your clothes, furniture, carpet etc., then this may not be the best breed for you! You'll find that your Pomeranians' coat will go through several heavy sheds as he matures, and there will be times when his hair looks thin, straggly or just downright messy. This is normal, and if he's healthy and happy in every other respect, don't worry too much about it. Once he matures, his coat will be beautiful. A good book (or two) is always worth having to hand, and the books in this collection are perfect for the owners of tiny and toy breeds.